June 6 - Board meeting. Region members and guests are always welcome at the monthly meeting. Come to listen or to provide some input to the board. You elected them. They're ready to listen. The board meets at the Milwaukee Yacht Club on N. Lincoln Memorial Drive (just north of downtown Milwaukee). Sailboats and power boats are not required unless you approach from the east. June 8 - Spring tour. Join the Heppe brothers Lee and Jay for the region's famous (sometimes infamous when Mother Nature throws a curve) all-day driving tour. Details here. June 15 - Coffee Travelers. San Laurio in Muskego is our destination for coffee and conversation. Located on Muskego's main thoroughfare at S74 W16825 Janesville Rd. The phone number at San Laurio is 422-0556. Call if you get lost. June 23 - 29 - PCA Parade, Traverse City, Mich. Parade is total immersion in Porsche and Porsche Club of America. You can be laid back or fully involved by entering the many competitive events including a concours d'elegance, autocross, rally, technical quizzes and more. A number of Milwaukee Region members are registered. Details here. Parade to PARADE - Join the caravan from Milwaukee/Grafton to arrive at Parade headquarters. Details here. July 6 - CANCELLED...CANCELLED...Gimmick rallye has been cancelled. July 11 - Board meeting. (Moved to second Thursday for July only.) Milwaukee Yacht Club. July 14 - Autocross at the Wisconsin State Fair Park parking lot. More information coming soon. July 20 - Road&Track concours d'elegance in Elkhart Lake, Wis. Join us for a group drive to Elkhart Lake and an optional dinner at a great restaurant. RSVP required if you plan to join the group for dinner. Details here. Aug. 3 - Picnic. Details coming soon. 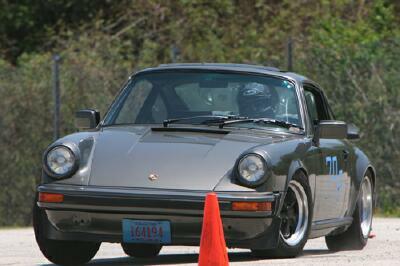 Aug. 16 - Driver education at Road America. Registration is now open at www.motorsportreg.com. This will be an outstanding day at Road America. Novices can learn how to handle their car on the track with the help of a driving instructor while intermediate and experienced drivers can continue to hone their skills as they navigate one of the best road courses in North America. For more information about the region's DE activities, visit the DE events page. Aug. 24 - Club Saturday At The M, a car show on Milwaukee's lakefront. Details here. Aug. 25 - Geneva Concours d'elegance. Details here. First Sunday of every month....Cars and Coffee in Lake Mills, Wis., hosted by 2 Shores International. Park your Porsche among other great cars, buy a cup of coffee at the nearby cafe and enjoy some "kick the tires and talk time" with other car nuts. Check out the photos from the May event here. PCA Club Race in Texas. Check it out. The new Cayman model was launched with great fanfare (and free food and beverages) by both of our local Porsche dealers. Check out the stories from the launch at International and Concours Motors. Thanks to both Porsche stores for their hospitality. 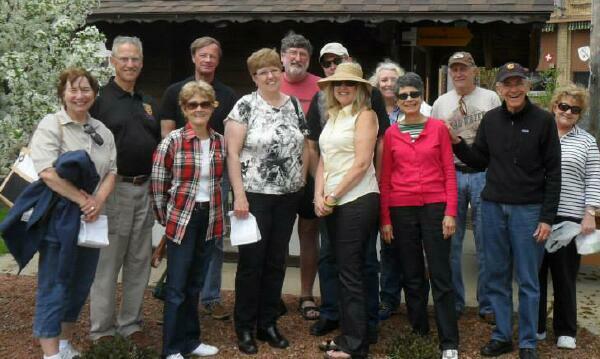 Coffee Travelers -- The May Coffee Travelers met at International Porsche in Waukesha. Here's the report from our numero uno reporter Donna Daufenbach. May 31 National DE Instructors training day and DE fun....Read the report from one driver. What happens when you mix rain, some Porsche enthusiasts, a BMW-Z3 lead car and seven couples that are anxious to get the 2013 driving season started? Well, the answer is simple…you get a GREAT TIME and a lot of stories that will make you wish you had joined us! After a few initial car malfunctions and lots of rain, our driving adventure turned to gold once we got to Madison, where the sun started to come out just in time for a nice lunch in New Glarus and an opportunity to walk around shops. Michael and Lynn Elliott mapped out a terrific route for a scenic and spirited car run for the entire day. After lunch, our group headed to Monroe, where we toured the Minhas Brewery. This is a must see…I really mean it’s a must taste as the brews were superb and what a gift basket they provide as you walk out the door. The history of this brewery goes back to pre-prohibition and is currently the 10th largest brewery in the U.S. Following this tour, we headed to Galena. 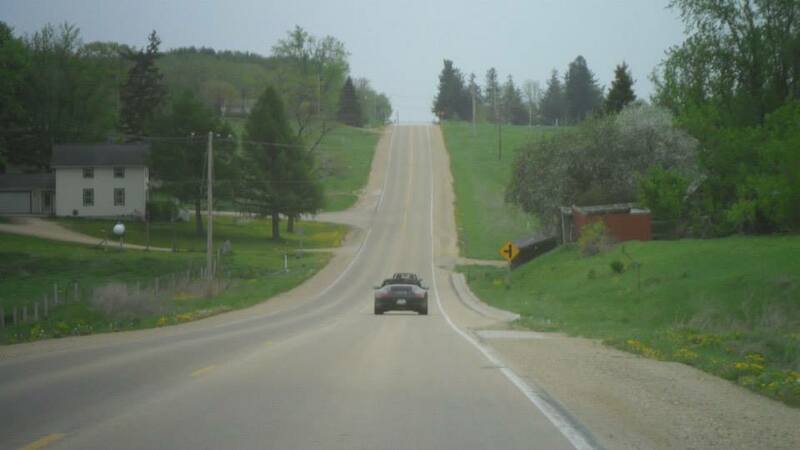 This road trip was amazing as we found curves, turns and a few (non touring) drivers that wanted to slow us down. And while our speeds may have been slow in spots, we had great scenery and the weather was perfect. What a great day of driving! Our hotel, The Chestnut Mountain Resort, looked as if it were taken out of the movie, The Sound of Music, sitting atop a mountain with a long winding road, overlooking a grand vista of green mountains and a majestic river. During our great dinner, plans were set for the next day and a local guy walks up and asks: “Are you the Porsche people?” After a few minutes of chatting, we found out that he had a new 911 and wanted to join us on the Mississippi drive which started with pictures taken with a stunning, natural backdrop. Saturday’s drive was perfect. Temps got to about 80, the sun was out all day and we learned that the local guy’s 911 was pretty fast. I am still looking for the door he blew off my car. After our return to Galena in the afternoon, everyone was able to shop, dine or rest. A good time was had by all! If you don’t know by now, these authors had a great time on the trip and many thanks go out to our guides and hosts, Michael and Lynn Elliott. Their planning and hospitality was impeccable. Joining the Elliotts and us were Ellyn and Al Wagner, Jane and Robert Budecki, Kathy and Bob Schwade, Christy and Gregg Eisenhardt, Reva and Randy Stolpe. All of our pictures (76 of them!) from this event are posted the club's Facebook page, PCA Milwaukee. We have a FACEBOOK page. You can load pictures of your car(s) and pictures that you have taken at car events. Check it out today. When you are on the calendar page of this website, you can scroll down past the calendar section and find links to the various events pages. Each event hosted by the region has its own page with a description of the event, any necessary requirements for participation and the year's schedule. The Resources page includes a variety of items including forms as well as a link to the members-only section. You will need the region's secret log in and password to check out the listing of fellow members. This log in and password is unique to the region site. It is NOT the same as your log in to access the members-only section of www.pca.org. Ask the newsletter editor to send you the secret stuff. Not as good as the secret sauce at Miller Park but can be useful when you need to reach another member via email as most members have an email address associated with their membership record. Check out the classifieds. They are updated throughout the month...whenever a new ad is received it goes up on the site. Check out the 2014 911 Turbo....video here. Keep in mind that this is the last true motorcycle road race in the world. Each lap is 37.75 miles long with over 200 turns. And the record for a single lap is over 130 MPH. There are straight sections where the bikes hit over 200 MPH. It is hard to imagine such riding speeds but they do it every year at the end of May and have been doing so since 1907. There have been over 240 rider fatalities in the history of the event but it is bigger than ever today. Two riders were killed during the 2012 event. The helmet cam video over the last minute or so of the clip is breathtaking. This event makes car racers look like a bunch of wussies. Even Sir Jackie Stewart is amazed by what he is seeing in the video. BTW, former Formula One World Champion John Surtees won this event before he switched from motorcycles to race cars. 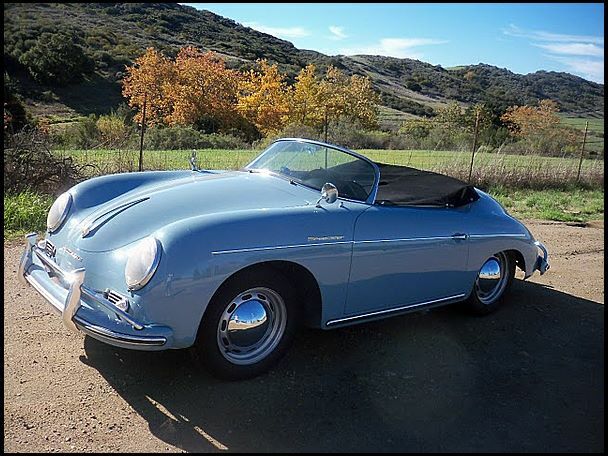 Donna Daufenbach found this link that contains some Porsche references....and it's all about the fun of rallying. 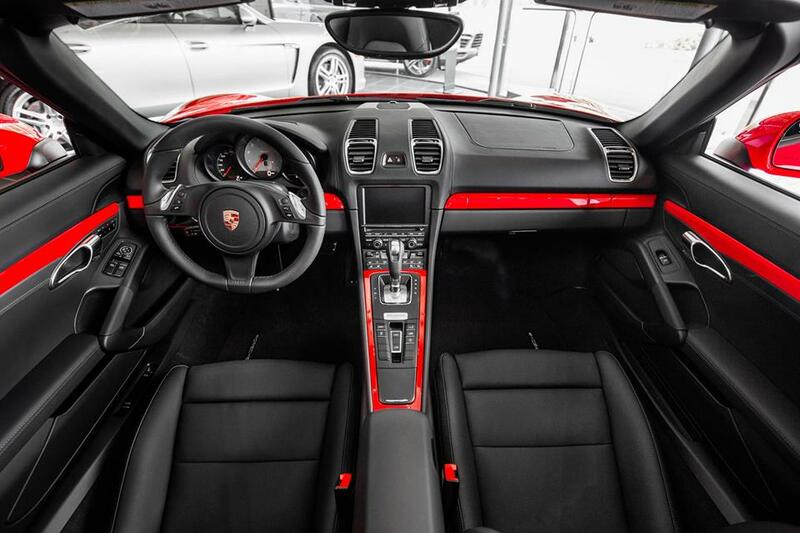 What's not to like about the interior of this new Porsche?